" Excellent search engines!! !...Best prices Ive seen yet!" 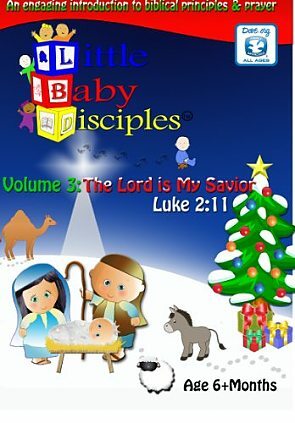 Little Baby Disciples: Vol 3: “The Lord Is My Savior” another Dove Organization award winner, is perfectly timed for Christmas as it introduces Luke 2:11 the birth of Jesus and creates an opportunity for parents to positively interact with their children while sharing the words and principles of the bible, together. Little Baby Disciples helps introduce a sound Christian foundation in an entertaining way. With Little Baby Disciples, make your child’s first words Heavenly! This musical event sets a benchmark for this award-winning quartet.